A fantastic storage solution for your home, the set of 3 retro dice design trunks are ideal for keeping your treasured items safe and your home clutter free. 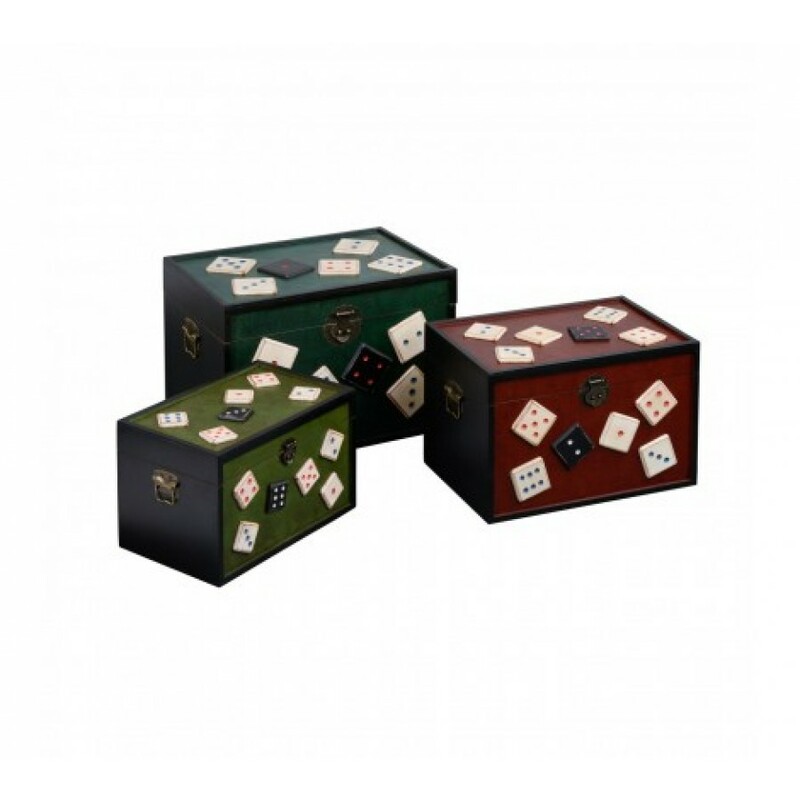 The MDF storage cases, small, medium and large have embossed dice design for a unique and striking look. The detail is accentuated on the coloured cases, green, red and blue that will give a traditional look in your room. Each robust case has metal clasps and handles with an antiquated finish enhancing the look of the trunks. Keeping your items safe and easy to move, the trunks are ideal for storing books, magazines, clothes, ornaments and other cherished items, the dice design set of three storage trunks will keep your home clutter free while adding a retro look.